a bronze medallion of "The Buddha Of Compassion"
Shaolin Chi Mantis is a Sangha, wherever it is. Our Flags have hung in numerous Churches, many schools and hung on the branches of trees in the park. 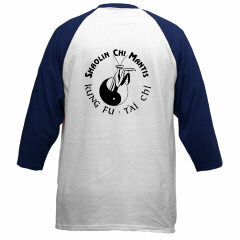 Shaolin Chi Mantis etiquette has always required students to behave as if they were in a church. Whether the students were Buddhists or of other religions they are taught to respect all religions equally. Buddha Zhen periodically reminds his students to look for inspiration and enlightenment in every religion and every Gospel or Dharma. "Comic books can be inspiring," he points out. Even those who seem to expend so much effort to be different or rebellious are usually trying to belong to a cult or outcast group. When Tai Chi Youth was formed, even fewer people were allowed to join Shaolin Chi Mantis, and Tai Chi Youth is nondenominational, so many students felt even more spiritually alone. 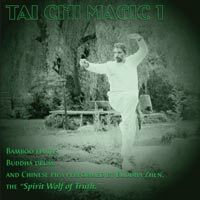 Before creating Tai Chi Youth, Buddha Zhen Shen-Lang had created many child Gongfu and Taiji programs that were taught as Shaolin Chi Mantis curriculums. The original IRS 501(c)(3) documents were actually to create Shaolin Chi Mantis as a nonprofit religion. So, Shaolin Zen was created to better provide the spiritual awareness of Buddhism to students of Tai Chi Youth, Shaolin Chi Mantis, and also nonstudents who sought Buddha Zhen as the "Buddhist Monk who teaches Tai Chi." The students presented Buddha Zhen with a Purple Sash, to represent him as the Spiritual Leader of all three organizations. With all the not-Buddhists (and Buddhists) belonging to Tai Chi Youth, Shaolin Chi Mantis has been revitalized as a Buddhist Gongfu school. 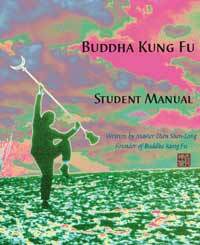 In 1998 Buddha Zhen created the DHARMA DIRECTORY which catalogs all the Buddhist teachings in relation to the Gongfu Forms and Weapons taught at the same time. Shaolin Zen has even caught on in China. A book publisher in the village below the Shaolin Temple on Mt. Songshan, just recently started a website with this name, shaolinzen.com. Perhaps the Monks at the Shaolin Temple shared a "SHAOLIN ZEN" newsletter with them. Buddha Zhen has been sending copies of the Shaolin Zen newsletter directly to the Shaolin Monastery Abbot since 1994. Buddha Zhen has mixed feelings about creating another religion. "The world has plenty of religions, and few of them get along with each other," smiles Buddha Zhen. "My goals have always been to bring enlightenment to as many people as possible. Shaolin Zen was created to teach people NOT to need religion. But freedom is not what most people want - no matter what they may say. Shaolin Chi Mantis has all the Buddhism, and religion that anyone could want, however, now that we don't allow most people to join--well, many of my Utah students wanted more spiritual information than we had time for in class so we dedicated Saturday mornings to Qigong breathing exercises and our Sangha get-togethers. This worked really well for the last few years I was in Utah. Now that we've relocated to California I am reevaluating how to separate or incorporate Shaolin Zen. Shaolin Zen, at this time is more of an experiment, than a religion. We'll see what happens."